it's funny because he's black. ice cubes straight outta compton!!! 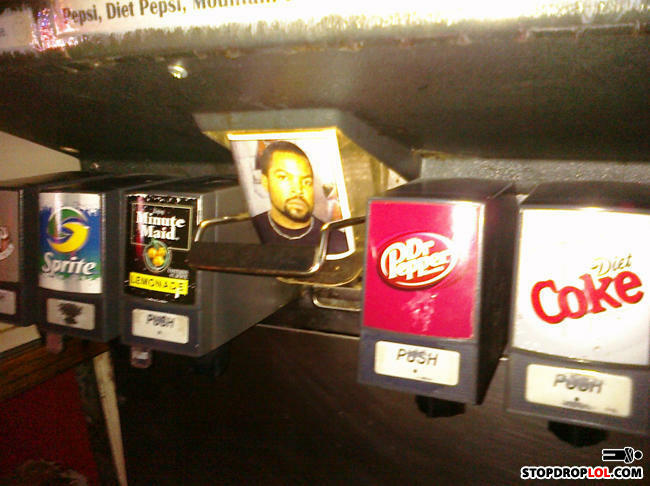 black man on a fountain drink dispenser.. WITHOUT ANY KOOLAID? ICEE what they did there. The Ice Cubes are only available on Fridays... get it? get it???.... oh nevermind! What's the best time to visit a dentist? Generally every six months or so.